Be part of a night that celebrates brilliance over competition…The FANTASIA FAIR FASHION SHOW!!! Open exclusively to Fair attendees, presenters and partners. Fantasia Fair cordially invites you and your favorite things to our Fashion Show 2018! 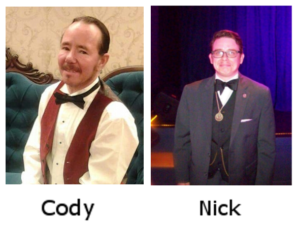 Please join our dapper hosts, Mr. Nicholas Dashiell Greiner and Mr. Cody Suzuki in a festive celebration of our diversity on Wednesday, October 17th at 8 PM on the runway at the Crown and Anchor’s Paramount Room, Provincetown, Massachusetts. Choose to participate in any one or all of the three categories in this year’s show: Casual, Formal or Fantasy/Cosplay. Bring your imagination, creativity, and individuality together for a show of fashion and authentic passion. It’s an event where first time fair-goers are welcomed, encouraged, and cheered on. Ah, the possibilities! Casual— Includes everyday wear, out-for-a-stroll wear, work and workout wear, to simply a day-in-the-life, here-I-am wear! Fantasy/Cosplay— Let’s have fun with this one! What inspires you? Movie costume, steampunk, holidays, time era, retro, goth, fairies, legends, cosplay, superhero, outer space, or simply just out there! Surely your attire can fit into any or all the above selections! After all, the Fantasia Fair Fashion Show is here to showcase you in a few of your favorite things! Just leave room in the suitcase! Please download our simple application form to enter, or you can sign up at the registration desk in October. See you on the runway! 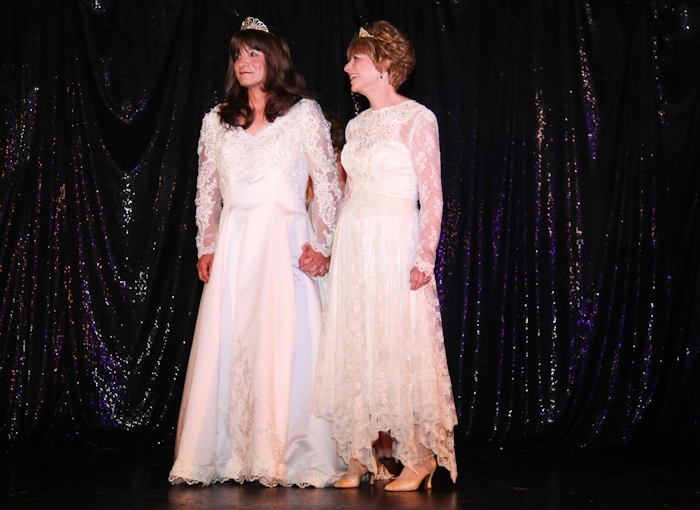 Every year, Fantasia Fair gives you, the Fair attendee, unique opportunities to experience things few of us ever expect to do– like strutting down the runway in a fashion show! Being in the annual Fashion Show is more fun than you can ever imagine, and a great way to get some modeling and stage experience. The audience is always enthusiastic and supportive, and will love you. The fashion show takes place in the Paramount Theater of the historic Crown & Anchor from 8:00 pm to 10:00 pm on Wednesday during the Fair. There is a 20-minute intermission. Every registered Fairgoer is eligible to participate, and we encourage first-timers to take part. It will change your life! Townspeople and visitors can buy inexpensive tickets at the door or beforehand at the Fair Office at the Boatslip Resort, 161 Commercial Avenue. The show features categories designed to allow models the opportunity to express themselves in their own, unique ways. You will have at least two opportunities to express your authentic passion, imagination, creativity, and individualism, creating a wonderful experience for both you and the audience throughout an evening of fashion and delight. 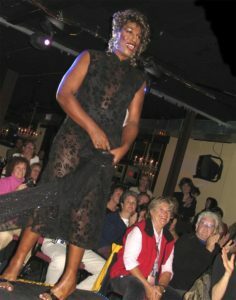 Most of us, regardless of gender, have never been in a fashion show– but there are practiced individuals available to guide you through this unique runway event and make it a night to remember! Plus, there will be professionals backstage before and during the show to help you with your wardrobe, hair, and make-up to ensure you look and feel your absolute best. Ready to take the plunge? Just sign up, fill out a short form, and attend a single rehearsal. Sign-up is Monday and Tuesday from 4:30 – 5:00 in the lobby of The Boatslip Resort, or you can sign up in advance by sending an email message to fashionshow@fantasiafair.org. We recommend you sign up early, as there’s space for only a limited number of models. The Fashion Show form briefly describes each outfit and, optionally, a few things about yourself. The afternoon before the show, there will be a rehearsal to go through the show’s agenda and your movements on the runway. Here is where you’ll be shown what to expect and how to Walk the Walk. After rehearsal, it’s all lights, glamour, and the adoration of an appreciative audience! If you have questions, please feel free to send the fashion show organizers an email message. See you on the catwalk!